Use: Work Order Booked. Invoice or receipt. 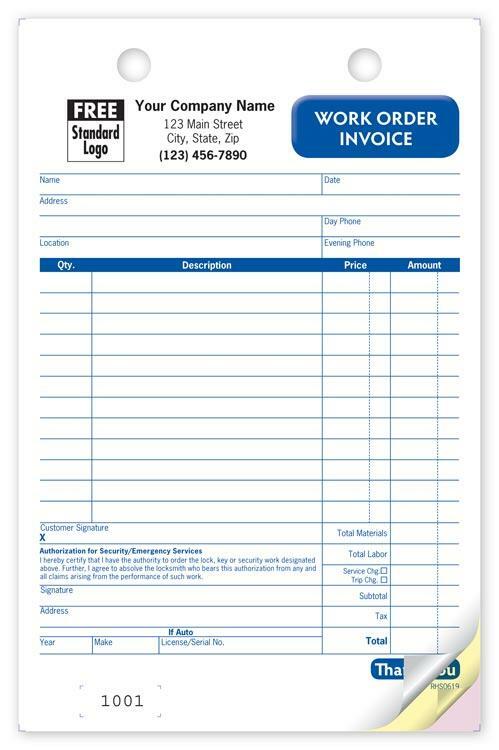 You can use this locksmith work order service form for jobs like installation, adjustment, repair locks and security devices. It can be used for commercial, residential and automotive locks. 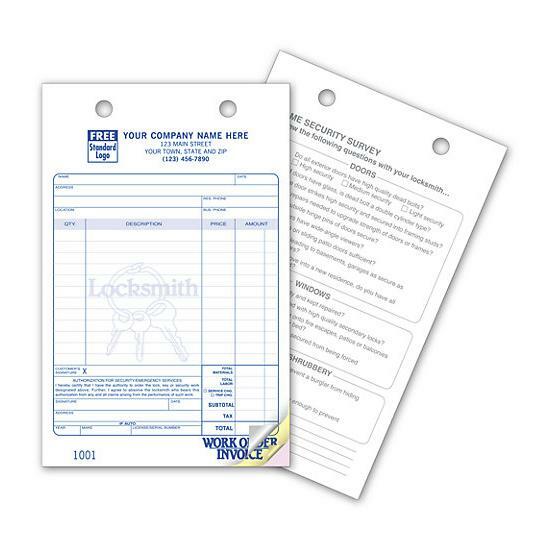 This form will increase your efficiency and it does not matter if your work for a traditional lock smith company, security agency or a freelancer. 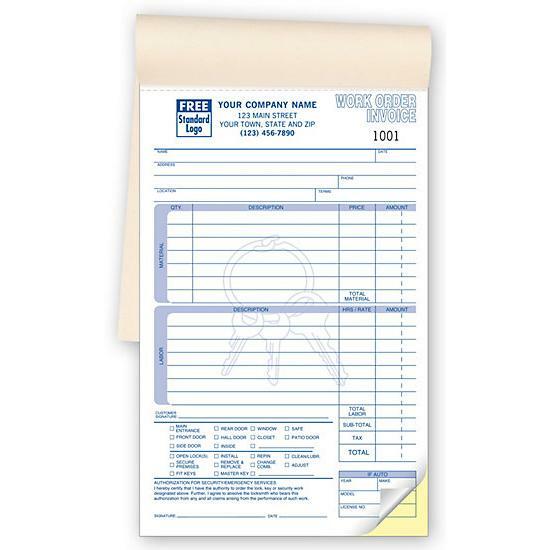 With significant advancement in technology, we recognize the need for custom forms to fit your specifications. Email your own design or request a custom form. 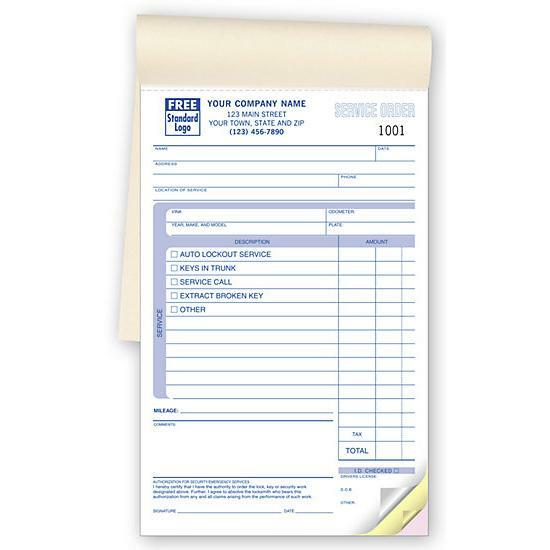 It’s printed on 20lb carbonless paper where you can easily input all relevant information. Record the customer’s name, address, labor cost, material used, details of work etc.